Located 400 metres from Opéra Bastille, Bastille Family Friendly offers pet-friendly accommodation in Paris. 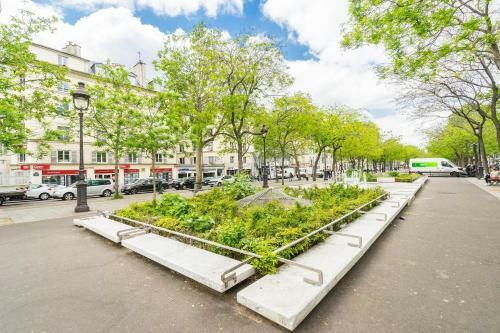 Featuring WiFi throughout, the apartment is 1.2 km from Pompidou Centre. A dishwasher, an oven and a microwave can be found in the kitchen. A flat-screen TV with satellite channels is offered. Notre Dame Cathedral is 1.3 km from Bastille Family Friendly, while Place de la République is 1.5 km away. Paris - Orly Airport is 14 km from the property. Upon check-in photo identification and the credit card used during booking is required. The property reserves the right to refuse accommodation to guest if this is not presented. Please note the parking size : 210 large and 210 length and 230 height.